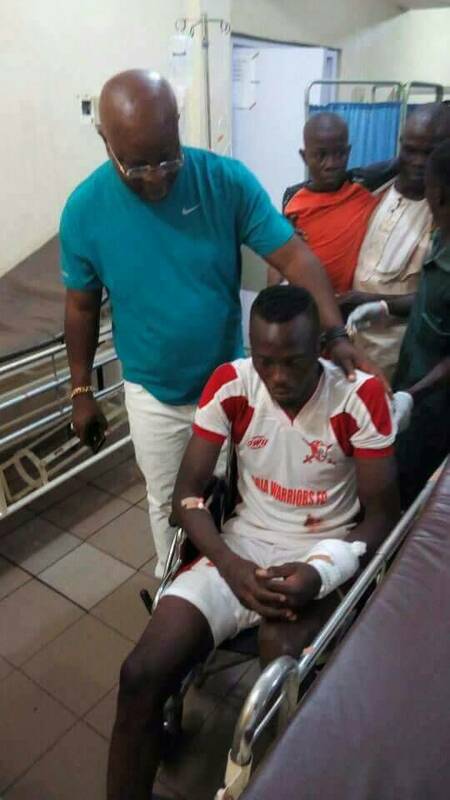 Abia Warriors top-scorer Sunday Adetunji has been ruled out for the rest of the season due to a broken hand. The former Elkanemi Warriors and 3SC striker picked up the injury in Sunday's 4-2 away win against Lobi Stars. Sunday, who is part of the 30-man CHAN squad has scored 14 league goals this season, with six coming away from home.